This talk focuses on post meta, which is metadata attached to a post of any content type (post, page, or custom post type). There is also user meta (attached to users) and term meta (attached to taxonomy terms, like categories and tags). Advanced Custom Fields﻿ is the most popular plugin for creating metaboxes. 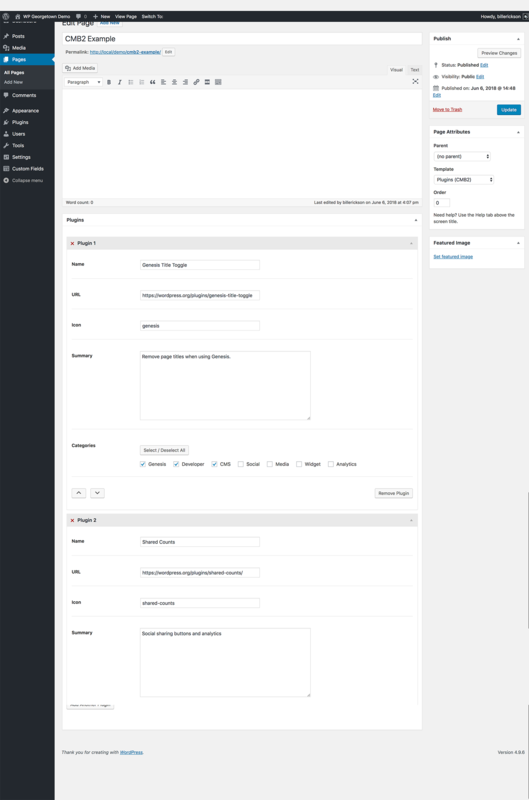 You can easily build a metabox from the WordPress backend with no code at all. 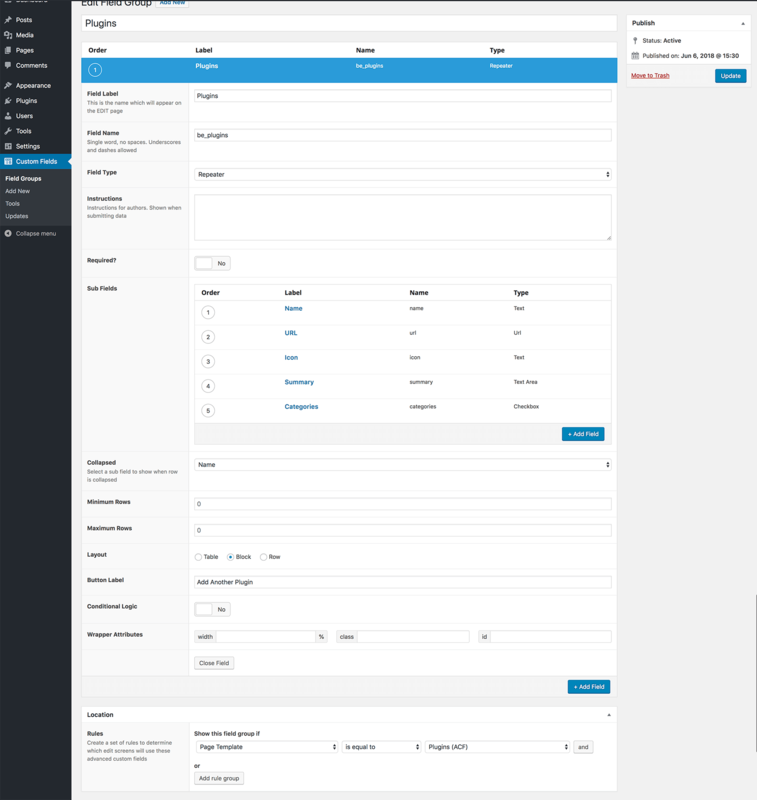 You can use the Local JSON feature to save your metabox settings in your theme so it can be version controlled. While the free version of the plugin includes many basic field types, this tutorial uses the “Repeater” field which is only available in ACF Pro. 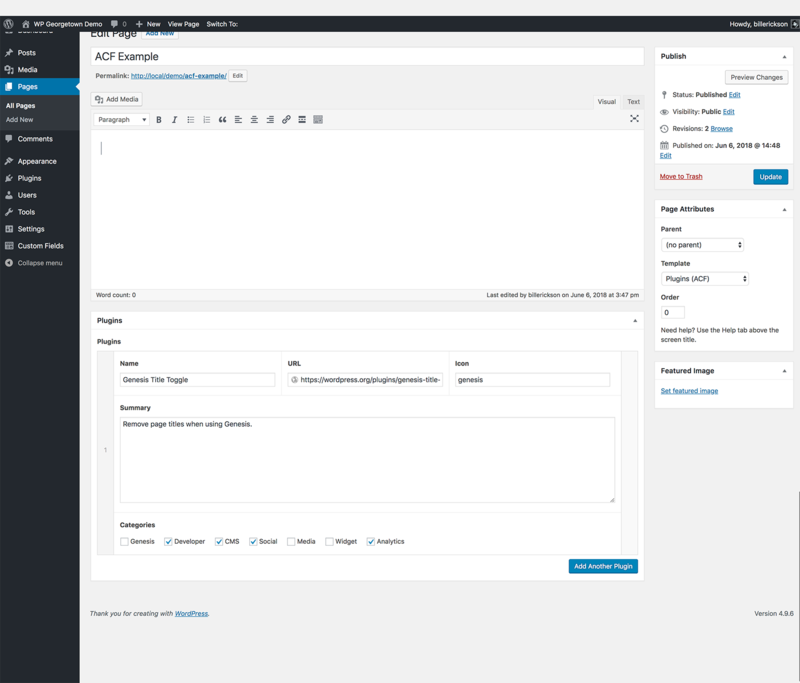 To access the data in your theme, you can either use the WordPress core function get_post_meta()﻿ or the ACF functions. I’m using the ACF functions in the template file below. Here’s the raw metadata stored in the database. To keep the example simple and easily comparable between plugins, I’m putting all the data into an array and passing it to a function that builds the plugin listing. Carbon Fields is my preferred metabox plugin. The code to create a metabox is easy to read, and the resulting metaboxes look great. It takes the best from both ACF and CMB2 and improves upon it. They are also working on a block builder for the new Gutenberg editor. Installing the plugin is the most complicated step. 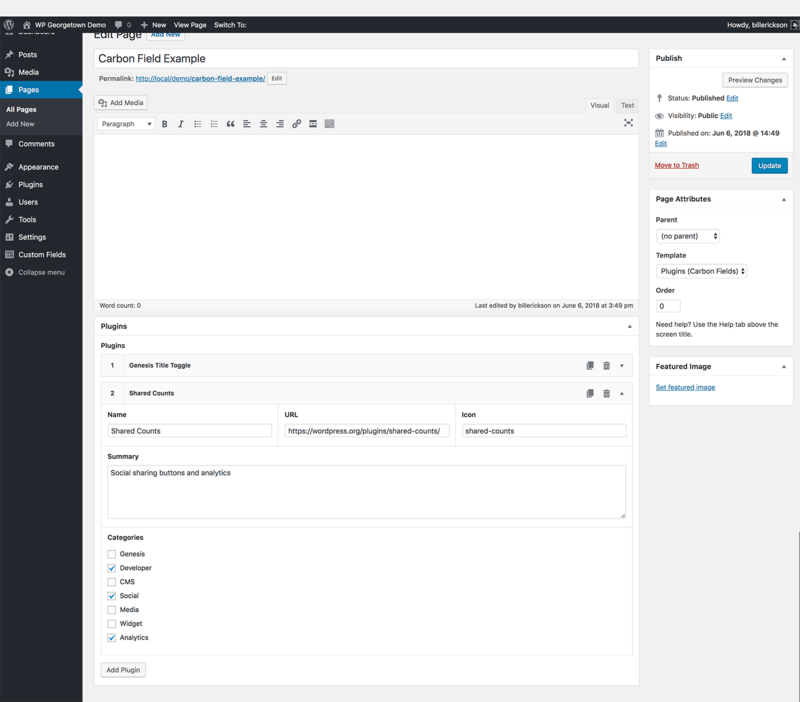 While there is a Carbon Fields plugin in the WordPress plugin repository, it’s not up-to-date. You can either use Composer or download the plugin here.